I have seen her on the screen being interviewed, and met her personally. Some have different perceptions about her partly because of her truthful admission that she is a bad girl. She is not moved and she has maintained her strong stance on what she stands for. 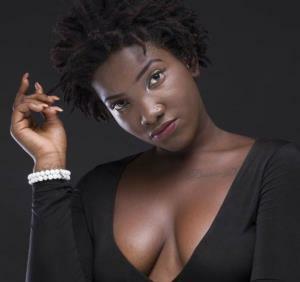 Ebony Reigns is the lady. The dancehall queen and I love the song dancehall and Kupe. 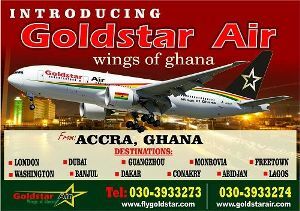 But as you consider the broader topic of her public image and the perceived morality of the Ghanaian society because of the religious nature of this country, I feel it is only apt to start by defining the core concept of integrity which is about the fullness of self and requires a spiritual and transformative journey. I will be sharing more content on this but to get started…what is the true meaning of integrity? Are you also an ‘integrous’ person, no blemish? Now let’s look at integrity. Integrity is one of the most misunderstood and misused words in the world. Let me call out the key words in this definition that are often missed. Consistency, honesty, and truthfulness or accuracy of one’s actions. Consistency is about being the same regardless of the situation. For example, do you know of leaders whose mood change by the day and make rash decisions on certain days, yet calm and engaging on other days? This would be an example of inconsistency of actions and outcomes. Consistency is a choice that we make as humans every single day, even when the situation or environment is not great. If you just had an argument with someone before walking into your next meeting, consistency means that you will make a conscious choice to shift gears and release yourself from the negativity of the last conversation and not bring that to the next meeting. Honesty or accuracy of one’s actions requires intentionality and thought. How honest or accurate are your behaviors, actions, and words with other people that you lead or even in your relationship, likewise your working environment, church et al? I have had encounters with diverse people in my life and even groups I lead and one thing I always ask myself is the integrity of the people in the organization. I was in a meeting recently with a CEO, partners, even men of God and groups I lead that cares deeply about values yet some are out of integrity because there is a lack of honesty and authenticity in how some behave. While someone says that he or she cares about teamwork, he doesn’t listen to others and gets defensive when challenged with different views. Some have pretense love. Love of vanity. Some are into divide and rule tactics. Gossips after organization meetings. Damaging their own colleagues just to have favors somewhere. Some Men of God do not practice what they preach, likewise Medical People et al. Typical case of integrity is watching love movies. They act good love movies but that is not the case in real relationship. Some believe in creating a culture of love but publicly berates and belittles junior employees. Integrity stems from the Latin word ‘integer’ which means whole and complete. So integrity requires an inner sense of ‘wholeness’ and consistency of character. When you are in integrity, people should be able to visibly see it through your actions, words, decisions, methods, and outcomes. When you are ‘whole’ and consistent, there is only one you. You bring that same you wherever you are, regardless of the circumstance. You don’t leave parts of yourself behind. You don’t have a ‘work you,’ a ‘family you,’ and a ‘social you.’ You are YOU all the time and this is Ebony reigns. Yes, she has won my heart. She possesses all what it takes to be an ‘integrous’ person. Given the real definition of integrity, we recognize that it is actually extremely difficult to be in integrity 100% of the time. We aspire to be in integrity with what we believe but sometimes, we mess up. Sometimes, our emotions get the best of us and we are unable to intentionally manage our behavior and actions. Sometimes, we don’t give ourselves permission to be our true selves out of fear of what others may think or due to an inability to truly ‘integrate’ the various parts of ourselves into ONE, complete WHOLE person. Another man is Hon. Kennedy Agyepong as I watched him on UTV’s morning show. He exhibits these ‘integrous’ characters. 1) Understands the true definition of integrity (hopefully after this post, you will be able to check this box). 2) Intentionally reflects on what to say, how to behave, how to make decisions in a way that is reflective of his/her values and beliefs. 3) Is the same authentic person regardless of the situation. You can meet this leader with their family, friends, church, or at a boardroom, and you will see a consistency in behavior, actions, and words. You will recognize this person no matter what environment he/she is in. 4) Recognizes the impact that he/she has on others. This leader is conscious of how his/her behavior and words impacts those around them intentionally and often times, unintentionally. So when this leader behaves in a way that is out of integrity, he/she stops, acknowledges, apologizes, and corrects course. This requires humility, authenticity, and ‘others-centeredness’ as you need to ‘see’ how others are responding to you. 5) Actively focuses on the development of character and wholeness. This leader spends time intentionally on this area through various areas, such as reading, getting coached, listening to the counsel of others, going to leadership development courses, and reflecting on how to develop character. 6) Enrolls others to be on the same journey. This leader aims to walk in integrity and as others see that, they are drawn to this. They can have confidence in this leader with the belief that this leader will do what he/she says and believes. They are able to inspire others to be on the same journey of lifelong pursuit of ‘wholeness’ and ultimately, INTEGRITY. When I see people who really have integrity, I recognize it. Don’t you? I hope that I can en. enroll you to join me on this journey by starting with understanding the integrity. If a thief accepts that he is a thief, the thief is integrous. Not someone who is a thief in the night and a good person in the day time. Your ethics should tally with your morals. You talk is your word. Integrity will save you .integrity will lift you up. Integrity-Integrity was in the honey of Ebony. Now answer this question and judge yourself. Are you doing the same thing you are accusing someone of ? You accuse your boyfriend of cheating meanwhile you also cheating. We accuse politicians of being corrupt but are we also free from it ? We accused the police of bribery. Yes! We do, but are we also free from bribery? Integrity is completely different from righteousness. Integrity is who you are , not faking because of circumstances. Marriages are failing because of integrity crisis. Oh I didn’t know you were like this before I married you. This is integrity crisis. The marriage will not survive. Those who walk in the ways of the Lord will always be bless. Integrity should be the hallmark of us all. A force balance is an abomination to God. Acient words. We are all suffering because of integrity. Let’s be integriuos . Morality-what you do should always be the same. We have integriuos thieves and Ebony is the first integrous dancehall or Musician. She told us who she is but what about you critizing her ? Lack of integrity is the cause of today’s cancer because there is integrity crisis in the food industry. Hiding things from the public at the expense of making wealth . God will deliver you because of integrity EBONY. Integrity will save you . Fear no man. Don’t please man. Respect man. Integrity will elevate you to position EBONY. Your enemies will promote you because of this watch me. In conclusion, with Ebony I realized that circumstances does not determine her choices. So I ask you the reader and the critic this question. Do circumstances determine the choices you make? You have to be consistent. EBONY, take care and all the best in your music carrier but be on alert when performing on stage. I love your songs: KUPE, DANCEFLOOR, POISON .The future you will picture is the future you will feature. The “YOU” you will see is the “YOU” you will become. Love you girl!